*Some may find an image at the bottom of this post distressing. Earlier this year a friend asked me who my favourite photojournalist was. My immediate reply was, ‘Well, if I could take photos like any photojournalist, it would be to take them like Andrew Quilty. He is my favourite’. On Friday 2 December, the Walkley Awards were held in Brisbane — these are the most prestigious awards of the Australian media industry, and the Gold Walkley, as the highest and most prestigious award, is the final award given on the night. This year the Gold Walkley was awarded to Andrew Quilty. He joins the ranks of some of Australia’s most talented journalists and news teams who have broken and reported on stories that changed Australians and Australia. Andrew is the first photojournalist to receive the Gold Walkley award, and it is his sixth award across various categories since moving to Afghanistan in 2013. He was awarded for work across Australia’s ABC and SBS networks, which was driving by his startling work for Foreign Policy magazine — ‘The Man on the Operating Table’, a man who died in a U.S. strike on a Médecins Sans Frontières hospital in Kunduz, Afghanistan. The man was Baynazar Mohammad Nazar. A photographer, Andrew not only took photos of the aftermath of the strike on the hospital, he also sought out to meet the family of the man on the table to learn more about his story. He found the family, learned the story of Nazar, and had their permission to tell the world. This search for the story is perhaps why he described himself during his acceptance speech as ‘a writer trapped in a photographer’s body. 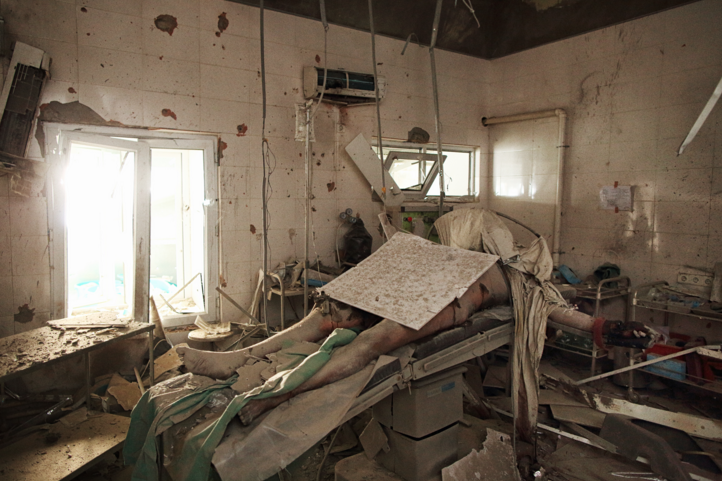 Baynazar Mohammad Nazar was a husband and a father of four — and a patient killed during the attack on the MSF hospital in Kunduz. Photo by Andrew Quilty. Earlier in the year when I told my friend that Quilty was my favourite, I also told them that ‘The Man on the Operating Table’ was one of the strongest photos I had ever seen. It is shocking, haunting, and absolutely justifies the cliché that ‘a picture is worth a thousand words’. Andrew’s website is andrewquilty.com and he regularly posts photographs, especially from Afghanistan, to Instagram.